This speech was delivered by Tim Forcey at the launch of the CERES Eco-house on 9 October 2018. Tim has 35 years of industrial experience (electricity, oil and gas, petrochemicals) with focus on energy production, transmission and consumption. Thanks to Minister D’Ambrosio for Victoria’s leadership, as demonstrated by a long list of exciting things going on in our state. 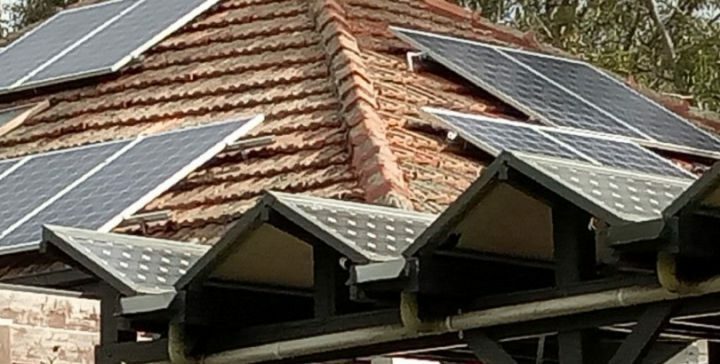 Thanks to the people at the Moreland Energy Foundation whom I’ve worked with over the years – on projects such as the roll out of the Victorian Residential Efficiency Scorecard. And lastly thanks to everyone involved with making the CERES Environment Park and the EcoHouse the wonderful, instructing and thriving community icon that it is today. Now – I had to wonder – when I was invited to speak this evening – why me? It’s not because of my 35 years of industrial experience. Nor is it because of my volunteer climate action over the last 12 years working with many conservationist NGOs. I might be speaking to you tonight because of the important research we published into the economic alternatives to gas out of the University of Melbourne with assistance from the Alternative Technology Association. But here’s the truth. The reason I’ve been asked to speak here is because of this darned Facebook Group! If you’re not already a member of the public Facebook group My Efficient Electric Home, I encourage you to get your phone right now, have a look, and join straight away! My Efficient Electric Home, now with 4,500 members, has grown in three years to become a leading searchable database and source of advice for people making their homes more healthy, comfortable, affordable, less damaging to our global climate and environment, and a whole lot less dependent on gas. Because it’s on Facebook, we have Members and experts from Iceland to Argentina. But it happens that around 90% of our members are Australian, and about half of those are Victorian. So a big theme you see at our group is exactly what you see in this EcoHouse: Victorians moving their homes off gas. Every day, indeed nearly every hour – members are helping members choose the best insulation – the best heating systems, to double-glaze or not, and if so with what. And we have amassed hundreds, possibly thousands, of case studies of people moving their homes off gas. It’s funny. I worked for decades in the gas industry and now I spend my time going around telling people the last place anyone would want to use gas is in a home! My plumber wants to know what’s going on. He’s reporting a rush of people wanting to have their gas meters removed from their property. Turned off, disconnected, packed up, and taken away. People are leaving the gas grid because they’re finding, as we did in our old renovated weatherboard, the cost of heating your home with these modern reverse cycle air conditioners can be as little as one-third of what it costs to heat with ducted gas. One third. These amazing home economics are not far off comparing the old incandescent light bulb with an LED! At the University of Melbourne we found a large Melbourne home can save $658 a year by heating with their air conditioners instead of using gas. Across Victoria, we found people who already have reverse-cycle air conditioners but have never used them for heating could save a quarter of a billion dollars per year if only they find the heat button on their air con and move off gas. This is the biggest consumer win that I’ve heard of. It’s even easier than changing a light bulb. All you have to do is push a button. But how many people know? Years ago many of us worked hard to demonise the use of air conditioners – in summer. But now we must turn that on its head, because heating with your air con in winter is the way to save. Even the gas industry won’t argue with you about these home-heating economics. They know the only thing keeping them in this business is the lack of knowledge in the community. The gas industry is happy to keep selling gas heaters to people, condemning them to years of high heating costs. And the Victorian building industry is happy to keep selling homes equipped with ducted gas heating and evaporative cooling: the worst combination you can have when considering health, comfort, economics, our climate and our environment. Because you see there are other benefits to heating with your air conditioner beyond just saving money. Heating with your air con won’t kill you with poisonous carbon monoxide gas as happens too often with gas heaters. Rather, air conditioners offer sophisticated air filtering, which is good for asthmatics and all of us that breathe air. Turning on your air con can be the cheapest way to heat your home for months and months over winter. And come January if you want to be cooler in your loungeroom when watching the tennis, you can use your air con to cool your room. Importantly as our planet warms, and heat waves become more severe – someday – an air conditioner might just save your life, or the life of an elderly family member. The modern reverse-cycle air conditioner is a truly amazing multi-purpose device! When you lay out all these advantages for Victorians, they get it. What’s harder for people to understand are the technicalities of why an air con can be the cheapest and greenest way to heat a home. It’s an air-source heat pump. It uses a refrigerant cycle to capture the free renewable heat that the sun has put in the air outside your home. The thing about free heat is that it is free! That’s why it can cost as little as 1/3rd to heat with your air conditioner – instead of burning gas. And of course we have the gas industry to thank – for the situation where now Australia produces more gas than ever, often using highly invasive techniques like coal seam dewatering and hydraulic fracturing, that leak large volumes of the greenhouse gas methane into our Earth’s atmosphere. But now, around 80% of Australia’s gas is exported! Gas exports have caused the wholesale price of gas to double to double again, and now, it’s going up some more! So getting off gas, or better yet, not getting on to it in the first place, is a no-brainer for many Victorians. It’s better to heat your living spaces and water with modern air-source heat pumps, just like we are doing here at this EcoHouse. Staying off gas should also be a no-brainer for housing estate developers. Why spend money to lay pipes and supply something that people don’t need, and fewer and fewer people want? Why should people who don’t want gas have to subsidise a few who might? Today we have a couple of examples, in Torquay and in Canberra, where new housing estates have no connection to the gas grid. In headlines, developers and planners are talking about the zero-carbon home and the house with no bills. Well, the house with no bills certainly doesn’t have a gas bill! Victorian manufacturing sure doesn’t need expensive gas, and thanks to gas exports, expensive gas is all that Victorian manufacturers are going to get. So like homeowners, manufacturers also must consider their no-gas options. Fortunately they have options. Whether it’s a dairy or a steel mill a report by Beyond Zero Emissions entitled “Electrifying Industry” describes how manufacturers can move away from gas using technologies ranging from heat pumps to microwaves to renewable hydrogen, not only to reduce their energy bill but also in many cases to streamline industrial processes, reduce other operating costs, and improve output and product quality. In a way, it’s like the digitalisation of industry that must happen as we move away from the old 20th Century way of operating where we just went around burning stuff. I recently published an article that reported the amount of gas used in eastern Australia peaked in 2012. Six years ago. You won’t hear of this from the gas industry. They want you to believe their product is an essential service a product that is in ever-increasing demand. But that’s not true. Every year, less and less gas is being used in homes, in manufacturing, and for generating electricity. Good news! However, we’re not moving off gas and other fossil fuels fast enough. Because, let’s think about the even bigger picture. We have been and are in a Climate Emergency. The UN’s Intergovernmental Panel on Climate Change yesterday released a report where it’s clear our current path leads to climate disaster. We must speed up our efforts to decarbonise. But the problem is, not only are we not decarbonising fast enough, governments around the world, including the Victorian government, continue to spend taxpayer money helping the fossil fuel industry find, produce, and sell more fossil fuels. To an engineer like me, or to a climate scientist, this is madness: supporting de-carbonisation on one hand while pursuing more carbon on the other. Any child would tell you, it makes no sense. But many politicians see this as a satisfactory compromise. Such compromised decisions are not going to make things easy for our children. Politicians need to stop thinking it is their job to deliver less than what climate scientists know we need. Case in point, the Victorian Government Gas Program will spend $42.5 M in just a single year helping the oil and gas industry find more oil and gas. Now I could ask people in this room tonight: What could you do with $42.5 M? The Victorian Greens, in their recently-announced policy to move Victoria completely beyond gas would spend 3 million dollars of that letting people know the cheapest and greenest way to heat a home can be with a reverse-cycle air conditioner. This is what any Australian government should do if they are serious about truly helping people to reduce their energy bills. This Greens policy sounds good to me, because if we are to leave this public awareness campaign to a few NGOs one EcoHouse and a Facebook Group, we’re NOT going to de-carbonise at the speed we need. So let’s think again, what could we do with that $42.5 M? The engineer in me does the numbers and finds that sum of money could supply reverse-cycle air conditioners to 15,000 homes. But that’s unreasonable isn’t it. No government would ever do that. Hand out air conditioners to all these Victorians. But why is the same sum of money so easily handed over to sustain the damaging fossil fuel industry well beyond its use-by date? Let me conclude with this from the Netherlands. The Netherlands, which sits on top of one of the largest gas fields in the world, is committed to be gas free by 2050. To do that, they are training up an army of technicians to replace gas appliances with heat pumps. Why? Because they’ve worked out, starting tomorrow, they must transform 1,100 homes every day from now to 2050. What would that look like for Victoria? Not quite as challenging. Starting tomorrow, we must de-gas around 350 Victorian homes every day from now until 2050. So right now, given the Climate Emergency, we need a plan to degas all those Victorian homes. Where is that plan? And it goes without saying, but we have to keep saying it: If you’re in a hole stop digging. So starting tomorrow, no more bad fossil fuel investments. No more new gas appliances sold. No more new homes being fitted with gas. No new suburbs connected to gas. No new gas infrastructure. Instead, let’s help our friends and neighbours that are on gas, to get off gas, and save money. Every year the federal government releases new offshore exploration acreage, and month after month the National Offshore Petroleum Safety and Environmental Management Authority (NOPSEMA) approves new offshore seismic testing and drilling applications. Extracting yet more oil and gas clearly is a bad thing from a climate perspective, but just how much economic benefit would Australia miss out on if we ban all new fossil fuel extraction projects? The story is similar for both onshore and offshore fossil fuel extraction, but with two key differences. State and Territory governments have the primary power to approve or ban new onshore coal, oil, and gas extraction projects in their own jurisdiction (includes coastal waters within three nautical miles off the coast), whereas approvals for new offshore oil and gas projects in Commonwealth waters are under federal jurisdiction. 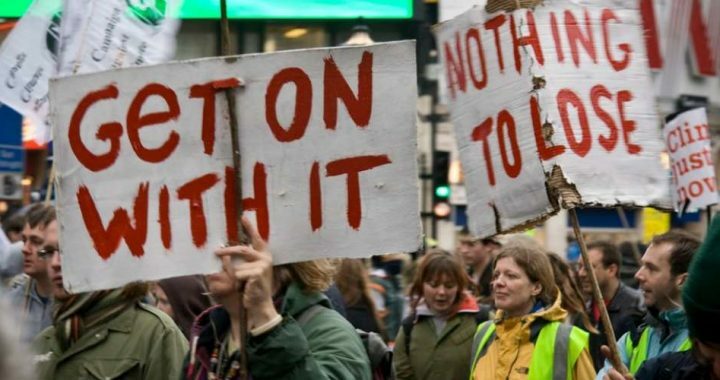 Accordingly, the No More Bad Investments (NMBI) campaign has state-specific campaigns calling for state governments to ban new fossil fuel extraction projects (and other new climate-damaging projects) and a separate petition to the Senate calling for an offshore oil and gas ban. The Petroleum Resource Rent Tax (PRRT) applies to all new oil and gas extraction projects, but the second key difference is that onshore (and some older offshore) projects also pay state royalties, whereas new offshore projects pay no royalties. That doesn’t make a huge difference since state royalties do not bring in as much money as you might expect, but it does mean that we are giving away new offshore oil and gas completely free of charge to the many oil and gas companies who currently pay no PRRT. State royalties from ALL existing coal, oil, and gas extraction projects Australia-wide, after subtracting government subsidies given to them, benefit us to the tune of around $3.8 billion per year (enough for maybe two new hospitals), of which around $2 billion is from oil and gas. That suggests that the royalties we would ‘lose’ if we ban all NEW fossil fuel extraction projects would be counted in mere millions, not billions. According to corporate transparency data published by the ATO, there were at least 39 fossil fuel companies that paid no income tax in 2015/16 despite a combined income of almost $72 billion. The majority of those companies also paid no tax in the 2013/14 and 2014/15 years. New fossil fuel extraction projects would generate some economic benefit from jobs, payroll tax, and local procurement of goods and services, but the same applies to new climate-safe projects. Creating new jobs is a poor reason for allowing new climate-damaging projects. Is it possible that the politicians who prioritise short-term economic gains over proactive environmental policy have simply not looked at the financial figures? Almost nobody seems to notice most new offshore projects, possibly because they are out of sight and out of mind – not in anyone’s immediate backyard. There are campaigns to stop drilling for oil in the Bight and seismic testing off the coast of NSW, but new projects being planned or currently underway off the shores of WA, NT, and Victoria seem to get little government or public scrutiny. It appears that NOPSEMA ignores negative climate impacts when approving new offshore projects, and that the federal government fails to question whether or not they are of any public benefit. Do we need new offshore oil and gas extraction projects? Will they benefit our economy? We don’t need any new gas extraction to guarantee domestic supply. We already extract well over twice as much gas as we use here. Domestic gas usage is falling and existing sources are nowhere near depleted. The ‘east coast gas shortage’ is a myth (see analysis by Tim Forcey & Dylan McConnell and Bruce Robertson). All gas from new projects (or an equivalent extra amount from existing projects) will be exported. Figure 1. Total annual gas consumption by sector, 2016 to 2036 (Neutral economic scenario). Source: AEMO 2016 National Gas Forecasting Report. We also get next to no financial benefit. Many recent and pending offshore gas projects are by foreign-owned companies, like ExxonMobil, Shell, Inpex, ConocoPhillips, and Chevron, who currently pay no income tax and no Petroleum Resource Rent Tax (PRRT). It’s their shareholders who get all the profit from selling the gas. As a Senate enquiry late last year concluded, we are practically giving away offshore oil and gas because the PRRT is set up as a ‘super profits’ tax. No PRRT is payable until all exploration, extraction, and production costs are recouped. In the meantime PRRT ‘credits’ compound over time and offset any income tax that would otherwise be payable. Since offshore projects pay no state royalties, Australia literally gives away offshore oil and gas for the first decade or more until PRRT starts to be paid (if it ever is). And it is given to companies that don’t even pay income tax! Onshore gas projects do pay state royalties, but current PRRT settings and PRRT credits work in the same way as for offshore projects, meaning that most companies involved in onshore gas extraction also pay no PRRT and no income tax. 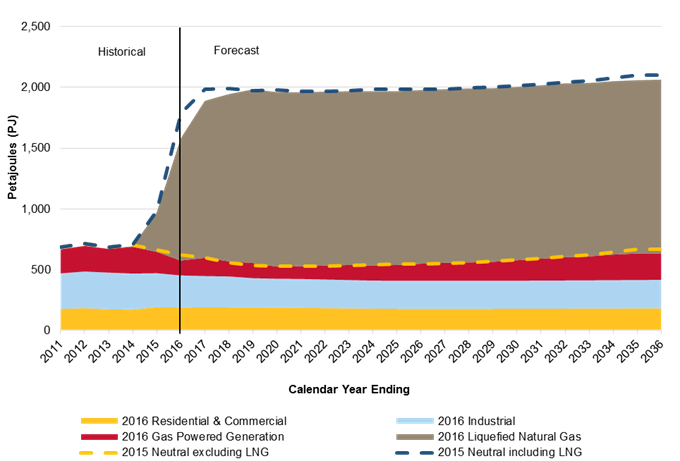 Since gas extracted from new projects will be exported, the resultant climate damage is not reflected in terms of meeting carbon reduction targets. Under international carbon accounting conventions, carbon emissions from exported fossil fuels are not counted as part of Australia’s carbon footprint. Even so, we disregard those emissions at our own peril. The good news is that it makes really bad news! Imagine the public outrage if mainstream media started reporting that we don’t need any new gas extraction for domestic use, that all of the new gas will be exported, and that Australia receives little or no revenue from allowing (mostly) foreign-owned companies to sell ‘our’ gas. Part of the social licence for new projects stems from knowing that, despite the climate impacts, we currently still need to use some fossil fuels while we transition to a renewable energy future. Seismic testing off the NSW coast and new drilling plans off the Victorian coast, for example, are being touted as a way of easing the supposed east coast gas shortage. Even if some gas from those proposed new projects is used within Australia, that will simply free up other gas for export. If the public knew that the entire amount of extra gas production from all new projects will be exported, the social licence for any new gas extraction proposal would vanish. One particularly stark example is the enormous new Inpex (Japanese) Ichthys project. They have already forward-sold all the gas for the first 15 years to Asian LNG customers, and will only supply gas to NT in an emergency. Did NOPSEMA or the Treasury ask Inpex what they planned to do with the gas before that project was approved? The public might assume that any oil resulting from drilling in the Bight would reduce the amount of oil products we import, but the Statoil website gives no indication of its plans. Regardless of whether or not the oil proves to be suitable for refining in Australian refineries (it might not be), chances are Statoil will sell the oil to the highest bidder. Has anyone asked Statoil where they plan to sell the oil? The other major part of the social licence comes from the myth that fossil fuel exports make us rich. People react very strongly when they hear we are ‘giving away’ offshore oil and gas. The most common response is to demand a change in the rules so that we earn more revenue, rather than calling for a ban for climate reasons. 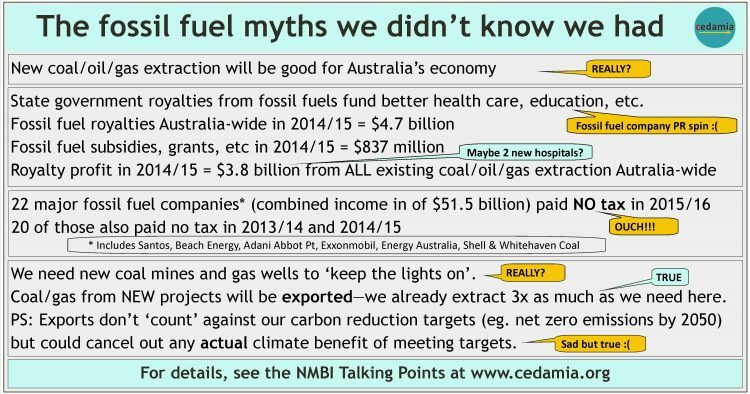 But regardless of what form the public outrage takes, exposing the economic benefit myth would break the social licence for new oil and gas. If we were to ban all new oil and gas, onshore and offshore, we’d miss out on a little in state royalty revenue, but compared with the other climate measures we must take to restore a safe climate, the cost would be insignificant. This must be one of the easiest and most cost-effective strategies Australia could implement to reduce future carbon emissions. Banning new offshore oil and gas would be even easier. It would cost us nothing in lost short-term revenue – we don’t get any revenue from new offshore oil and gas. PRRT credits compound over time and offset income tax liability. An oil or gas company could avoid ever having to pay PRRT and income tax simply by continuing to spend money on new exploration and new extraction projects. This might explain why Santos and Beach Energy both paid income tax in 2013-15, but neither have paid any tax since. The more climate damage they cause the less they pay in tax. Oddly enough, banning all new oil and gas extraction would increase our tax revenue from the oil and gas companies that might otherwise continue to expand their activities in Australia. It’s largely the prerogative of state and territory governments to approve or reject proposals for any specific new fossil fuel extraction project. They also can and do institute bans or moratoriums on certain types of projects, such as fracking or, in Victoria’s case, any new on-shore gas extraction, despite the current federal government taking a dim view of such ‘anti-development’ moves. 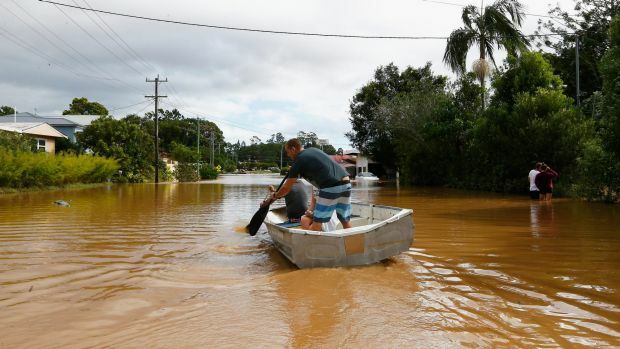 Environmental Justice Australia has drafted model No More Bad Investments (NMBI) legislation (downloadable from this page) which state/territory governments could implement in order to ban new climate-damaging projects. Since the model legislation includes immediate bans on ALL new coal, oil, and gas extraction, it is worth taking a look at the facts and financial figures. What impact would that have on federal and state coffers? And would we be able to ‘keep the light on’? The first fact to emerge is that ALL the coal and gas extracted from ALL new coal mines and gas wells in Australia will be exported (or an equivalent amount from existing mines and wells would be freed up for export). It’s no secret that Australia exports a lot of coal and gas, or that all the coal from the proposed Adani Carmichael mine would be exported to India if it were to go ahead. But the public might assume that most of the coal and gas from all the myriad of other proposed new extraction projects is for use within Australia. If it were acknowledged up front that the output from all those new projects is intended for export, surely that would remove a lot of the social licence for new extraction projects. 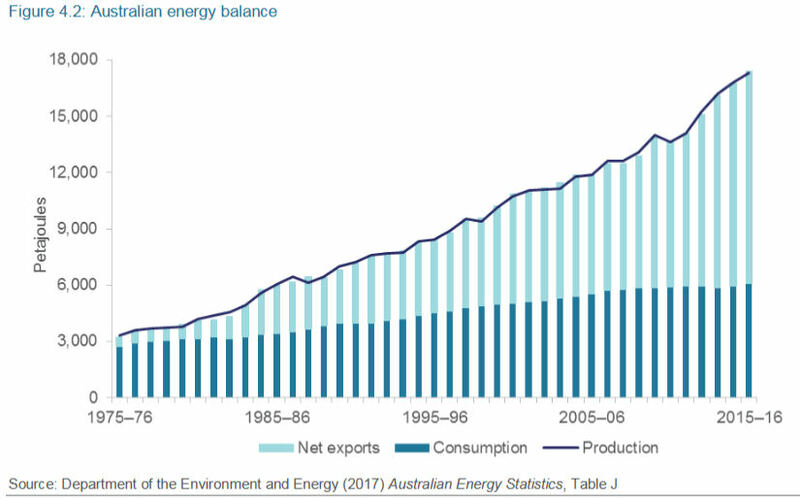 Australia already exports roughly twice as much ‘energy’ as we use within Australia, and consumption (demand) within Australia has been close to flat over the last decade, as shown by the following figure in the 2017 Australian Energy Update published by the Department of Environment and Energy. But what about the so-called ‘east coast gas shortage’? There are a number of major new gasfields being proposed, including several potentially enormous gasfields in NT, Santos’s proposed Narrabri gasfield, the new Dory gasfield off the Gippsland coast, and the recently approved exploration licence for gas off the coast of NSW. All these are being justified by claims that they will ease the supposed east coast gas shortage. 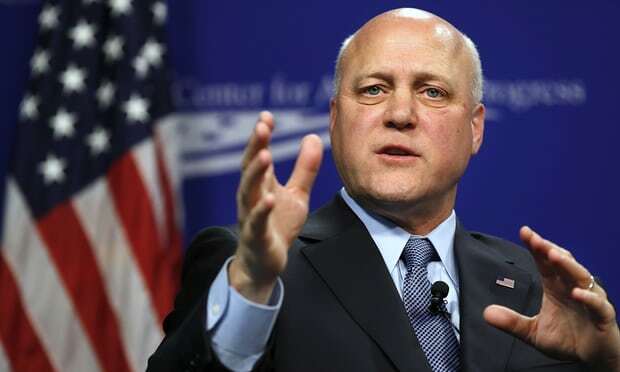 Even if there were indeed a slight gas shortage four big new projects seems like overkill. Or is the ‘gas shortage’ just a Trojan Horse for extracting more gas for export? This summer there were no reports of power failures due to gas shortages despite considerably more gas-powered generation being in the fuel mix reported by NEMWatch on heatwave days. As the above graph from the AEMO 2016 gas forecast shows, residential, commercial, and industrial gas demand are flat-ish or even falling slightly. Demand for gas-fired electricity generation has been falling since 2014 when gas prices increased. The only demand that is actually rising – and rising dramatically – is the demand for Liquefied Natural Gas (LNG) exports. Our states and territory governments certainly don’t need to approve new coal or gas extraction projects in order to ‘keep the lights on’ within Australia. Some sort of gas reserve legislation might be useful to ensure gas exports don’t leave us short, but we don’t need to approve any new gasfields. If all new coal and gas extraction projects are slated for export, why do state and territory governments even consider allowing new fossil fuel extraction projects despite the climate imperative of keeping fossil fuels in the ground, and despite often fierce community opposition? Could it be the dollars in state revenue? The public relations machines of fossil fuel companies would have us believe that new hospitals, better education, and all sorts of other good things are reliant on the prosperity that comes from us allowing them to sell off our fossil fuel ‘resources’. Let’s look at the figures. According to Table 4 in the mining operations spreadsheet published by the Australian Bureau of Statistics, in 2014-15 Australia-wide coal royalties were $2.8 billion and petroleum (oil plus gas) royalties were $1.9 billion. In that year, coal subsidies were $769 million and oil and gas subsidies were $68 million. Thus, for ALL the coal, oil, and gas extracted from existing projects in Australia that year, the financial benefit to society amounted to around $3.8 billion, enough for maybe two major new hospitals. But climate campaigners are calling for a ban on all NEW fossil fuel extraction projects, and it is the new projects that receive the heaviest subsidies from state governments. Over the six years from 2010-11 to 2015-16, Queensland received an average of $1.94 billion/year in coal royalties. But if you subtract the $1.27 billion/year in subsidies the Queensland coal transport sector received over the six years from 2008-09 to 2013-14, Queensland’s ‘gain’ from its numerous coal mines was only around $670 million/year. South Australia receives much of its gas for electricity generation and household use via the Moomba pipeline from the Cooper Basin in the north-east corner of the state. 2014-15 gas and oil sales value totalled around $1.56 billion, but SA received just $105.3 million in oil and gas royalties. Separate figures are not given for the gas royalties, but gas sales amounted to only about 20% of the total oil and gas value, so the share of royalties received from the gas industry might have been as low as $20-25 million. What about the proposed Statoil project to drill for oil in the Bight? Offshore projects in Commonwealth waters do not pay state royalties, so SA coffers will receive no royalties from oil in the Bight. According to figures found in the corporate transparency data published by the ATO, in 2015-16, the various coal companies owned by Glencore had a total income of $21.6 billion and paid just $44 million in income tax. At least 22 other major fossil fuel extraction companies paid no income tax in 2015-16 despite together earning an income of $51 billion in that year. Those companies included Santos (income of $3.47 billion) and Beach Energy (income of $589 million), along with international companies like Chevron, Shell, and ExxonMobil. All except a couple of the above 22 companies also paid no tax in 2013-14 and 2014-15. All onshore and offshore oil and gas extraction projects are required to pay the federal Petroleum Resource Rent Tax (PRRT), but this is intended to be a ‘super profits’ tax payable only after all exploration, establishment, and operational costs have been recovered. This means that any new oil or gas projects are unlikely to pay any PRRT at all for well over a decade. In the meantime, a generous system of compounding PRRT credits can be used to offset any income tax liability. This might explain why Santos and Beach Energy paid no income tax in 2015-16 even though they both did pay income tax in 2013-14. One particularly perverse outcome will become apparent if an oil spill occurs as a result of Statoil drilling for oil in the Bight. Statoil will have to pay for the cleanup, but that cost will count as an expense under PRRT rules and will be able to be claimed as a PRRT credit. In effect the taxpayer will cover the cleanup cost, and SA will suffer the environmental damage despite getting nothing in royalties, income tax, or PRRT. The state revenue from selling licences varies in accordance with the size of the project. SA licence application fees are only a few thousand dollars. Annual exploration licences start at a few thousand dollars and range up to a maximum of $26,000. Annual production licences range from a few thousand up to maximums of $67,600 for onshore projects and $116,325 for offshore projects. New fossil fuel extraction projects generate jobs and, in the case of foreign-owned fossil fuel companies, they also inject foreign funds into our economy via wages and local procurement of goods and services. This is a good thing, but we don’t need to rely on new fossil fuel extraction projects to achieve those benefits. Those benefits also come from new renewable energy projects, like SolarReserve’s solar thermal project at Port Augusta, Neoen’s wind plus battery project at Jamestown, Sanjeev Gupta’s solar and pumped hydro projects at Whyalla, and numerous other climate-safe projects all over Australia. This is turning into an ugly story indeed. 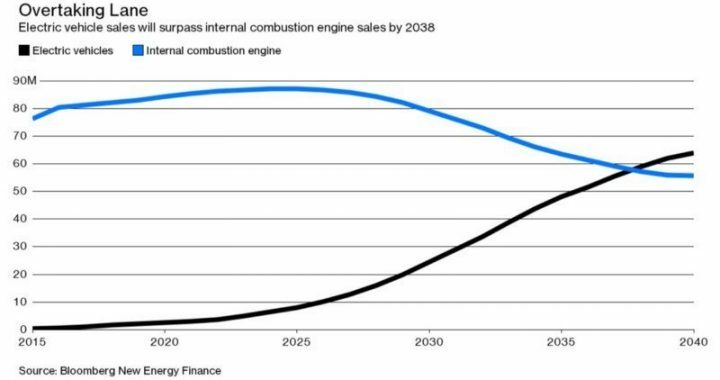 No new fossil fuel extraction is needed for use within Australia so new extraction projects simply mean more fossil fuel exports. They will only give state and federal coffers a pittance in extra revenue to fund better education, health care, etc., so state governments are putting our climate, our communities, and our aquifers and farming land at risk for almost no financial benefit. Have our politicians ever looked at the figures, or are they blinded by fossil fuel industry spin? But it gets worse. Under IPCC carbon accounting conventions, exported fossil fuels don’t ‘count’ against states/territories meeting their carbon reduction targets. Queensland, SA, and Victoria all have targets of net zero emissions by 2050. Even if they meet those targets, any actual climate benefit could be more than wiped out by the climate impacts of the fossil fuels exported from the NEW extraction projects they continue to approve in the meantime. Take another look at the Australian Energy Balance graphic above. Now imagine that Australia achieves a super-rapid transition to 100% renewable electricity and electrified transport. We might feel incredibly proud of that achievement, and so we should, but our actual climate impact from fossil fuel exports would still be double the climate impact from all the fossil fuels we currently use within Australia. That is a horrible thought. The least state/territory governments should do – and it would be relatively easy really – is to ban any NEW fossil fuel extraction projects. Orwell could have been writing about climate change and policymaking. 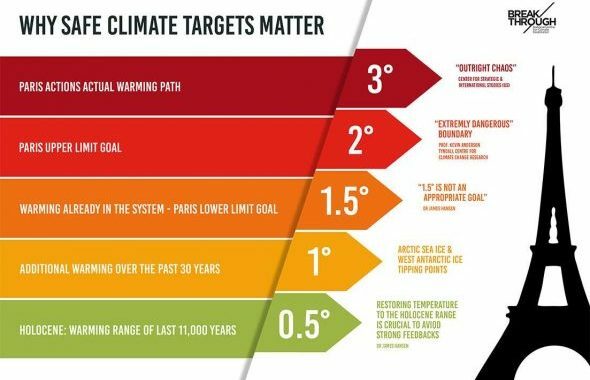 International agreements talk of limiting global warming to 1.5–2°C, but in reality they set the world on a path of 3–5°C. Goals are reaffirmed, only to be abandoned. Coal, by definition, is “clean”. Just 1°C of warming is already dangerous, but this cannot be said. The planetary future is hostage to myopic, national self-interest. Action is delayed on the assumption that as yet unproven technologies will save the day, decades hence. The risks are existential, but it is “alarmist” to say so. A one-in-two chance of missing a goal is normalised as reasonable. A government’s first responsibility is to safeguard the people and their future well-being. The ability to do this is threatened by human-induced climate change, the accelerating effects of which are driving political instability and conflict globally. Climate change poses an existential risk to humanity that, unless addressed as an emergency, will have catastrophic consequences. In military terms, Australia and the adjacent Asia-Pacific region is considered to be “disaster alley”, where the most extreme effects are being experienced. 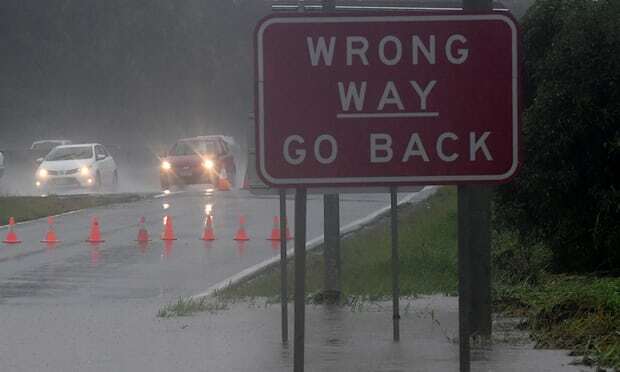 Australia’s leaders either misunderstand or wilfully ignore these risks, which is a profound failure of imagination, far worse than that which triggered the global financial crisis in 2008. Existential risk cannot be managed with conventional, reactive, learn-from-failure techniques. We only play this game once, so we must get it right first time. This article was originally published by Margaret Hender on the Climate Emergency Declaration website on September 7, 2016.